Auto Parts - Limiting Strap-Hi-Light International Inc. 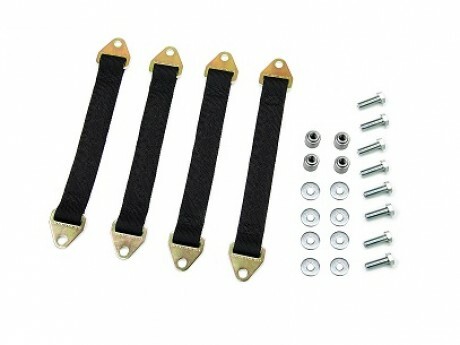 Suspension limit strap kit for Off Road Jeep application. Suspension System: Limiting Straps for Off Road Jeeps Application. The limiting straps are constructed with double looped, high-strenth webbing. The heat treated 4130 mounting tabs feature a reinforced buckle for the limiting straps.